India’s first attempt to become the sixth country to launch a rocket using its own Cryogenic engine resulted in a failure earlier today when the rocket failed to complete its mission and deviated from its path midway and minutes later, splashed into the placid waters of the Bay of Bengal. It was a picture perfect launch as the GSLV-D3 took off from the Satish Dhawan Space Center at Sriharikota, Andhra Pradesh. The scientists were seen clapping and congratulating each other as the GSLV-D3 lifted off flawlessly, as planned. Things started to go wrong about 8 minutes into the launch when the indigenously built Cryogenic engines were to do their job. However, as fate would have it, the engine failed to perform and caused the rocket to deviate from its path and eventually crashed in to the Bay of Bengal. Initially it was thought that the engine’s did not fire at all. However, Indian Space Research Organisation (ISRO) Chairman K Radhakrishnan later said that the engines did fire and that an investigation would now be held to find out what caused the failure. While this is certainly not the first GSLV mission, this mission was crucial considering it was the first that used India’s own, indigenously developed cryogenic engine to power the last stage of the rocket. For those who are wondering what a Cryogenic engine is, let us in simple words put it this way. It is a very complex engine that uses liquid fuel that have to be held at very low temperatures for the engines to use them. As of now, only five countries on the planet have the capability to develop Cryogenic engines. 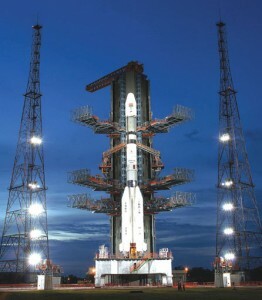 Had the launch been successful, India would have been the sixth. India had to develop its own Cryogenic engine after Russia had to pull back on a deal to supply India with Cryogenic engines. This was owing to pressure from U.S. who thought India would use the engines to develop missiles. While the latest failure is certainly a setback for the Indian space mission, ISRO has clarified that they would be retrying the launch within a year’s time.